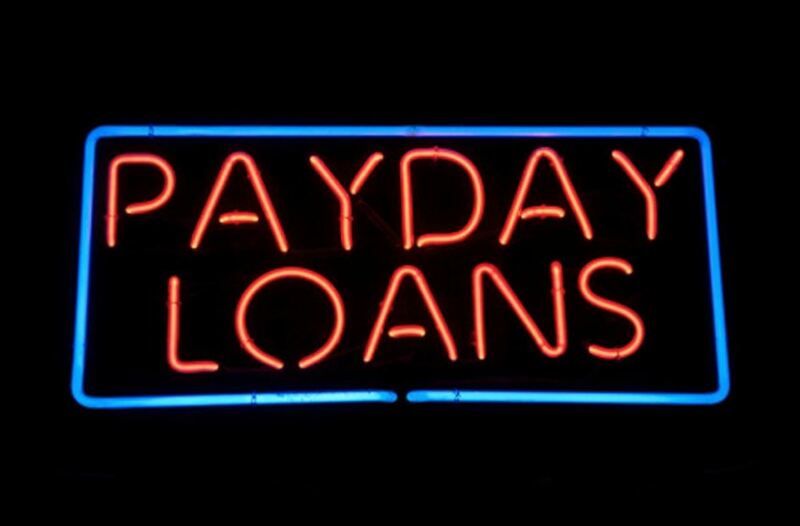 Payday loans are a growing sector of the personal loan market. They offer short term cash loans, and as the name suggests, to tide you over from now until your next pay day. You can see ads for these types of loans everywhere, more so online. They feature 'convenience' and the ability to get cash quickly for an immediate need. They are a kind of impulse loan to support impulse buying. However, they have attracted a lot of critical comment, especially overseas. There is a regulatory move in the US to ban such lending. However, they seem a fast growing sector in New Zealand. A key attraction is the profit that can be made. And profit flows from the sky-high cost of credit. But even more, profit flows from attracting vulnerable borrowers who on some occasions may not be able to meet the loan terms, and then get hit with default fees. Those fees are a significant source of revenue for some lenders in this category. Because the advertising is usually all about convenience and hardly ever about the cost, for many borrowers that cost is rarely considered in context. And no-one thinks they are a bad credit risk, so the potential for additional fees is considered even less. And with 'online' processes usually via mobile channels, the convenience factor gets very attractive, especially when combined with impulse online shopping. In this table we have set out what each lender says you must repay for borrowing $500. (We targeted 30 days but not every lender offers that.) Then we calculated the effective annual interest rate for entering into that deal. This is different to the interest rate the lender discloses because we bundle up that interest rate with any set-up loan fees into an effective rate. But we haven't included any fees if you default; this analysis assumes the borrower meets all payments on time. The data in this table is our estimate based on what we can see or calculate from each lenders website. It is subject to revision. These are startling results. If you use payday loans to take advantage of an online 'deal' the chances are you will spend much more in total than the 'deal' saved you. Even the lowest rates in this table are far, far higher than for more traditional personal loans which can run as high as 40% pa. There is the point that the companies make that to make an unsecured small-value short term loan is a costly and risky business. Without volume, these businesses aren't always as profitable as the interest rate suggest. But with volume they are, which is why aggressive marketing is an integral strategy. Firstly, save to make the purchase. That will avoid any interest and fees, and making the cost of the item or service excessive. Remember, 'friendly' loan companies are always associated with unfriendly collection agencies. Best to avoid getting caught up with any of that. We are not aware of any information about the size of this segment of the finance industry. If you know, or know the loan book size of any of the companies listed above, we would welcome the information. We are not aware of any regulation of this sector other than the Commerce Commission's brief to administer the CCCFA and the Fair Trading law. Sadly, these loan sharks flourish at the mature stage of a credit cycle. One by one they'll disappear when their pond gets drained. Fortunately, you are right, the market has contacted - many of them (InstantCash, CashBurst, JustCash etc) have gone bust. Having being exposed to the industry when involved in securing a balance sheet, it became apparent many operators don't actually make much money. Collections is a big issue, and then you ask, well, what's the point of it all if there's no $ in it and everyone is getting stressed? There's an interesting summary on the state of payday loans in NZ - https://www.moneyhub.co.nz/payday-loans.html - rated by 'least worst'. Says it all really. Is 30 days realistic though? I'm assuming these people get paid weekly or fortnightly, so wouldn't it be the case these loans function as cash advance, and get paid back fully within 7 days? What is wrong with us ? The English first introduced laws to do this 350 years ago through the Usury Act of 1660 . Many countries limit the rate of interest allowed , and even cap the admin fees as a % of the loan . We base our laws on English law , so why on earth don't we have a Usury Act ? We used to, until they were swept away as part of the deregulation of the credit markets back in the 1980s. The UK is far worse. APRs over 4000% and one person who paid an effective 16.7 million percent. There used to be a cap but apparently this was anti-business and Big Brother nanny state meddling etc etc. These companies are exploiting the desperate. We don't seem to mind the poor spending up large on Lotto & Bingo and Pokies - all very addictive ! Totally shameless the way we encourage - even advertise these so called games / outlets. All justified in that the funds " go back to the community " - Reality is that the little that's left goes back - mostly to finance the well off's little ventures as the poor / illiterate don't have the ability to apply for these grants. It's not a perfect world and we need to assist the vulnerable in our community by not making it easy for them to make bad decisions. Singapore accepts people will gamble - but no advertising - state owned and when you walk into Marina Sands there are two entry streams - Foreigners - All welcome - no charge. Singapore passport holders pay S $ 100 on entry which lasts 24 hours. All well aligned with recent Nobel winners nudge theory. Taxpayer...subsidised...as per......usual...if in a rental......situation......too...Join ...the dots.....otherwise....they....could....remortgage ....the ....home......at ...less...cost.....than.....a....Saver.....can...also....lend...their...hard...earned.....cash....on....100s of ......Percent....as opposed.....to...less....than ...5%.....how....dumb.......are ...they........Savers.....I....mean. Then there are the door to door trucks , offering fancy goods, no deposit and interest free, just 2 or 3 times the normal retail. Probably not seen in most posters neighbourhoods. It's crazy that they can lend at these rates, but what happens when Labour cap interest rates? Those borrowers are going to have to go somewhere and if companies like Moola aren't there, then won't they just use an unlicenced, black market lender?